We play this game in my family, when we cook something that is pretty, or yummy, or special. We say, “How much do you think this would cost at a restaurant?” And then we speculate about how much it might cost. Sometimes we actually look up menus online to see what a similar meal out would cost. And then we discuss how much it probably cost to make it at home, which is usually a fraction of the price of buying it out. Or when we are at a restaurant eating something that we think we could make at home fairly easily, we then play the game in the opposite way. “I wonder how much it would cost to make this meal at home?”, we might say. And then we try to remember the details of the plate, meal, cookie, (fill in the blank)…so that we can go home and try to recreate it. 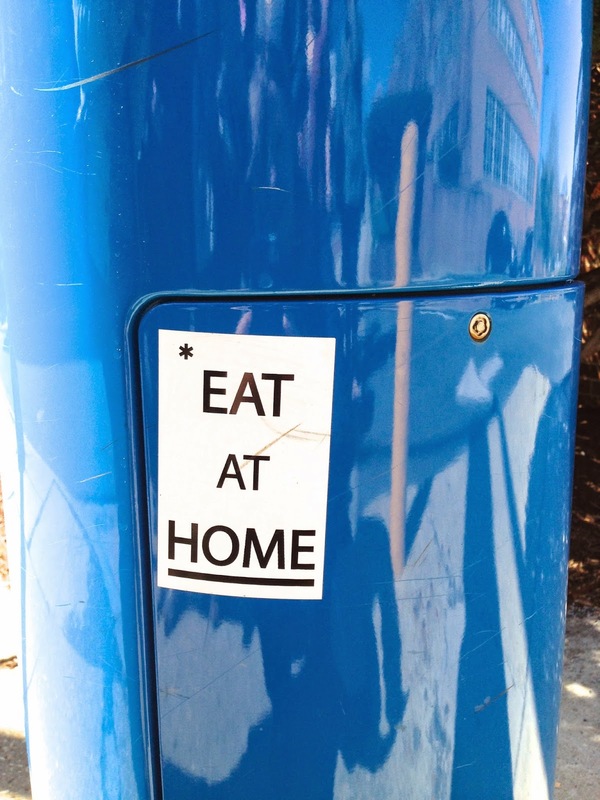 I saw this sticker on a light post when I was in Washington D.C. last spring. It inspires me on those days that I don’t want to cook. Hummus is one of those things that I buy in a grocery, and buy in a restaurant and make at home. Though I have been making hummus for many years, I have never felt like my homemade hummus was equally as good as bought hummus- until this summer! I had hummus that a friend from church, Christi, made that was the great texture that store-bought has. She gave me the recipe, which came from Cook’s Illustrated The Science of Good Cooking and gave her tips to me as well. The trick to the texture is in dealing with the chick pea skin. It is what can mess with the texture and make it chunky and/or mealy rather than smooth. 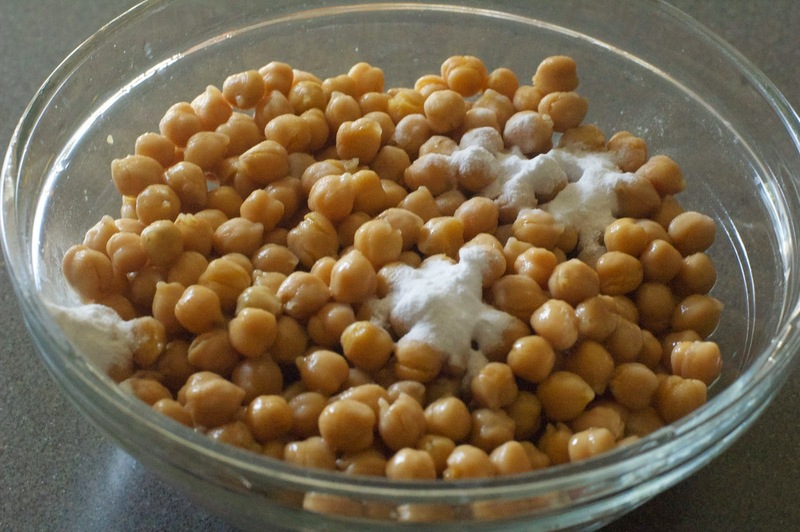 Baking soda is the remedy and I have explained in the recipe below how to deal with the skins when using canned beans as well as dried beans. 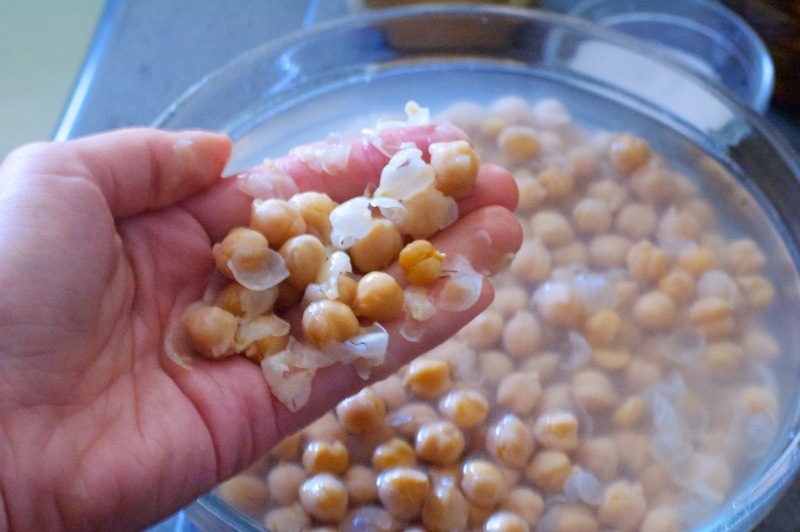 I have always had an internal conflict with the Tahini aspect of Hummus because it is the most expensive and only fatty part of the recipe. I have made it without it at times. However, I do think the Tahini is important- for texture and depth of flavor, but in my recipe I reduced the tahini drastically from the Cook’s Illustrated proportions. 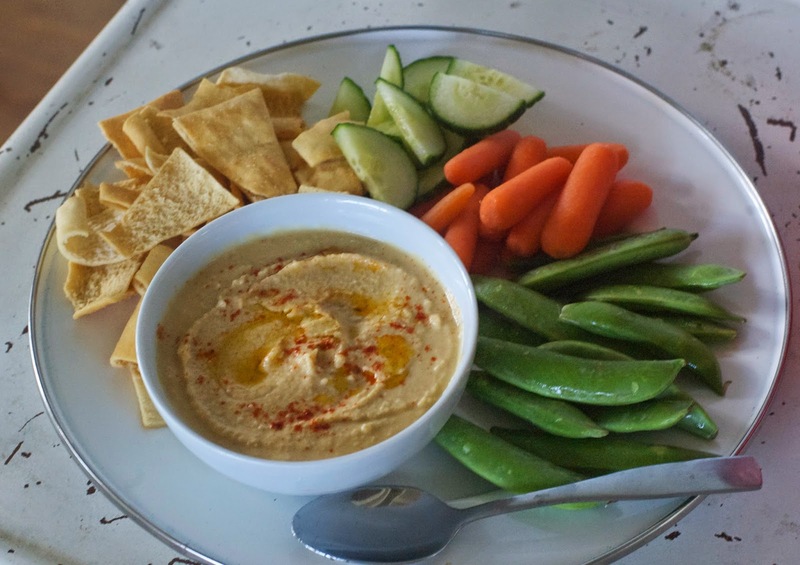 Another great thing about Hummus made at home is that you can tweak it to your liking. Some like it zippier, with more lemon; or more garlicky; or herb-y. We did a taste test at my house. And, as is typical in our home, there was diversity of opinions. So we divided the hummus and seasoned a small batch of each. 1. Place beans in a large bowl, cover with 1 quart water, and soak overnight. Drain. Bring 1 quart water, beans, and baking soda to a boil in large saucepan over high heat. Reduce heat to low and simmer gently, stirring occasionally, until beans are tender, about 1 hour. Drain, reserving ¼ cup bean cooking water, and cool. 2. Combine water & lemon juice in a small bowl or measuring cup. Whisk together tahini & 2 Tbsp. oil in a second small bowl or measuring cup. 3. Process chickpeas, garlic, salt, cumin, and cayenne in food processor until almost fully ground, about 15 seconds. Scrape down bowl with rubber spatula. With processor running, add lemon juice mixture in a steady stream. Scape down bowl and continue to process for 1 minute. 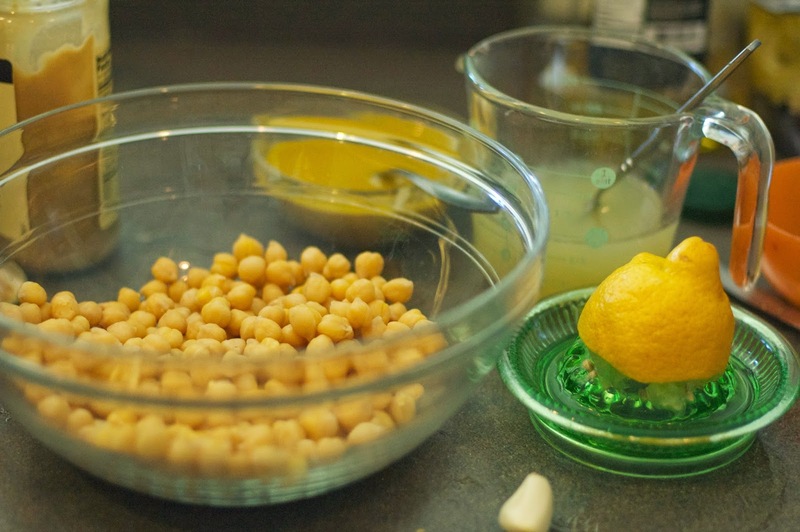 With processor running, add tahini mixture in steady stream; continue to process until hummus is smooth and creamy, about 15 seconds, scraping down bowl as needed. 5. 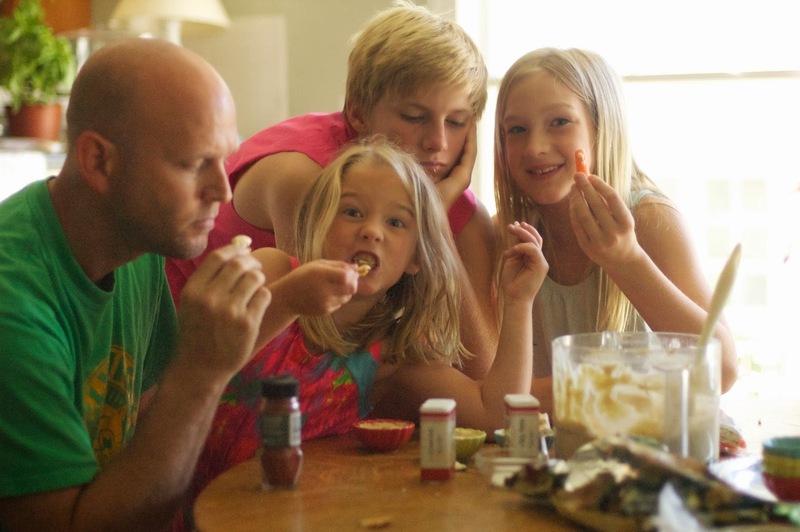 Transfer hummus to serving bowl, top with a sprinkle of paprika, cayenne, herbs and/or a drizzle of olive oil. Serve. (Hummus can be refrigerated for up to a week. When ready to serve, stir in 1 Tbsp. warm water if texture is too thick). and 1 ½ tsp. baking soda for the ½ tsp. Change the water 3-4 times to remove all of the baking soda (or it will give a soapy taste). This was the hummus dinner plate I made the other night. 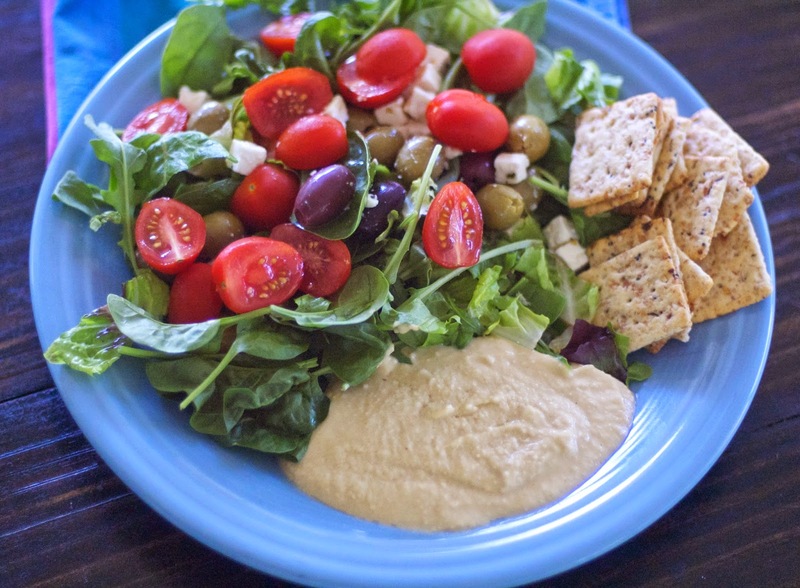 A pile of greens, topped with sliced tomatoes, olives, feta, greek dressing and a portion of hummus – eaten with some crackers. I think at Fido, a favorite eatery of ours, their Mediterranean salad, which is similar but with less veggies, is $6.99. Which adds up when you add beverages and tip (and 5 people on the ticket). Their veggies and hummus bowl is $5.99. I estimate it costs about $2 to make a batch of hummus. P.S. A recent development: Asher, my “I hate beans” son, wrote on his student profile sheet for his new teacher- that his favorite snack was Hummus and Pita Chips. I was astounded. This is big y’all.